C8061X - HP 4100 Toner. 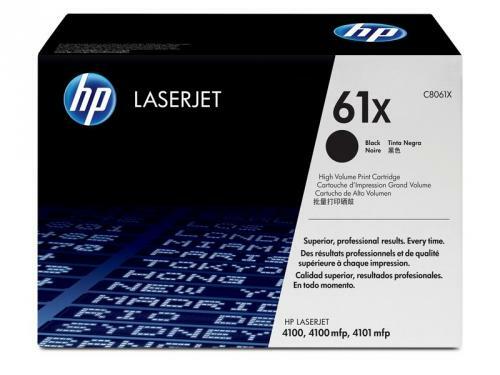 Brand new genuine HP C8061X Toner. This Genuine HP Laserjet 4100 Toner Cartridge delivers excellent print value. HP 4100 Toner cartridge is a HP toner. For use in: HP LaserJet 4100, 4100 mfp, 4100dtn, 4100n, 4100tn, 4101 mfp printers. Replaces part numbers: C8061A, C8061X, 61A, 61X.